Turkish company Zivak Technologies develops analytical kits and instrumentation for use in the food, healthcare and environmental sectors, and relies on Tecan’s Cavro® Omni Robot for its automated HPLC and LC­MS/MS systems. Zivak Technologies, based in Istanbul, Turkey, was established with the principal aim of developing and manufacturing assay kits targeted at commonly measured analytes in the clinical diagnostics, food, environmental and forensic arenas, as well as the production of HPLC and LC-MS/MS instrumentation for assay automation. Analytical precision and ease of use are key customer requirements, and the incorporation of the Cavro Omni Robot plays an important role in achieving this. 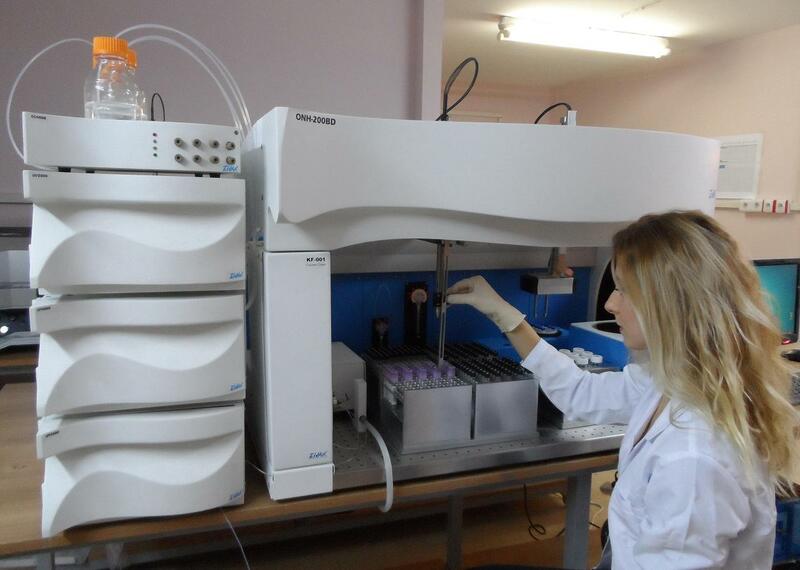 Kübra Balyemez shows how the Cavro Omni Robot has been incorporated into Zivak’s 25-OH Vitamin D2-D3 HPLC Analyzer. Mr Avni Çavdar, President of Zivak, explained: “Our Company was approached by several large government hospitals in Turkey that performs a great many organ transplants. It is important that organ recipients are monitored frequently to ensure that they receive the appropriate dose of immunosuppressant drugs; patients may wait years before a donor is found, and it is vital to administer the correct dose to minimize the chance of an organ being rejected. Obtaining rapid, accurate results is crucial, and the hospital needed an automated mass spectrometry­based method for monitoring immunosuppressants." The Tecan staff are very honest and open, which is important because it is the people that show you what a company and its management are like. “Hospitals need straightforward clinical analyzers that simply require the samples – blood, plasma, serum or urine – to be loaded, and then automatically carry out all the preparation and analysis, generating results in a user-friendly format that confirms whether a patient sample is positive or negative, and that control samples are within limits. To enable the sample preparation stages to be performed, we needed to integrate a precise and reliable liquid handling system – the Cavro Omni Robot." "The Cavro Omni Robot is very versatile, offering flexible sample handling for up to 180 samples per run, and can accommodate a range of different sample formats, from vacutubes and vials to microplates, as well as allowing us to integrate a variety of modules. Reliability and accuracy are crucial. Thousands of analyses were performed prior to going to market to ensure the robustness and accuracy of the analyzers, and we have demonstrated errors as low as 1%. ""Combining the Cavro Omni Robot with our technologies – including PC-controlled vortexers and centrifuges, online SPE and shaker/heater units, as well as in-house developed software – has enabled us to produce a series of fully automated HPLC and LC-MS/MS based analyzers that can determine 25-OH metabolites of vitamin D2 and vitamin D3, immunosuppressants, amino acids and organic acids in minutes, rather than the hours that may be required for other assay types." “When you plan to develop a lot of things, you recognize that you will be spending large sums of money, and you have to know that you are working with a company that you can trust. The Tecan staff are very honest and open, which is important because it is the people that show you what a company and its management are like. This gave us the confidence to build a relationship with Tecan, and to adopt the Cavro Omni Robot for our automated systems,” concluded Mr Çavdar. This article was first published in Tecan Journal, 2013.